These classes are designed for adult learners. The Mizel Museum offers weekly art classes on-site with our artist-in-residence, Boris Shoshensky. A professional artist and professor, Boris provides individualized studio instruction for students of all skill levels. 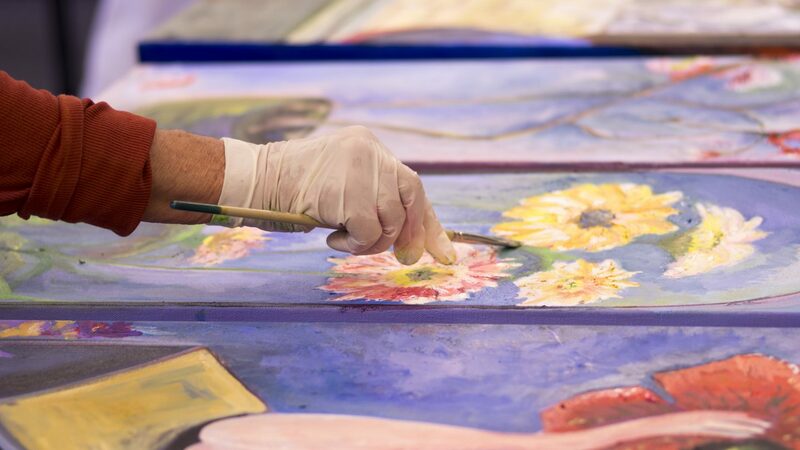 The course covers materials and techniques of watercolor, acrylic, oil painting, and sketching and is based on student preferences. With an emphasis on still life and landscapes, students will develop skills in drawing, composition, color and brush control. Boris Shoshensky, an exhibiting artist and art educator for more than 20 years, has served on the faculty of several art colleges in Colorado. Originally from the Ukraine and versed in the formal traditions of the Russian and Western European schools, Boris is a well-known master painter and teaches a wide range of concepts and techniques. Tuesdays, 10:00 a.m. to 2:00 p.m.
Wednesdays, 4:00 to 7:00 p.m.
Supplies for the class are not included in the cost. A suggested supplies list can be found here. Please note that the 6 class package expires 12 weeks after your first class. No refunds are issued for unused classes.